So, onto the USA, which is of course well known for burgers, amongst other things. 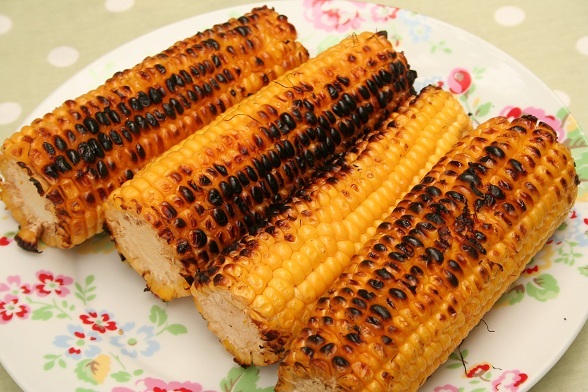 As it was such a lovely day, we continued the barbecue theme. My sister and her husband came round to visit and brought my little niece along, who ran around a lot and tired everyone out, but it was a lot of fun. 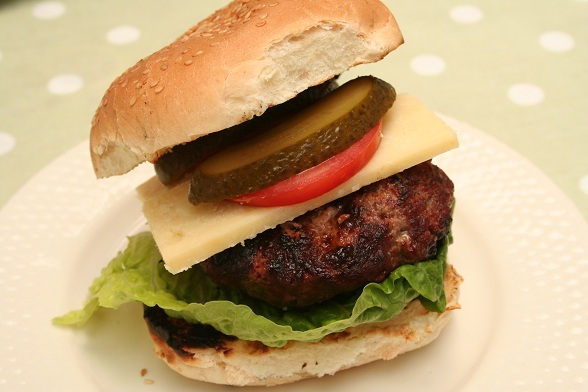 The burgers were made from mince from our local butcher, which we have used before and was really good. It probably didn’t need a lot of seasoning, but we put in some Tabasco and some Worcester sauce along with salt and pepper and a little chopped red onion. We find that we don’t need any breadcrumbs or egg to bind it together, they are generally quite happy to remain in a burger shape until cooked. We didn’t have any American cheese slices and weren’t planning to buy any as we never eat them, so tried to cut a slice of cheddar very square, which almost looks right but not quite. Added some lettuce, tomato and sliced pickle and we were ready to go. 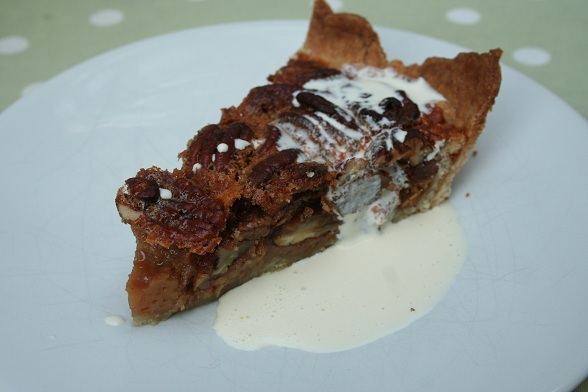 And then to finish, some pecan pie which was really good and was quite simple to make. We followed this BBC Food recipe but used ready-made pastry instead of making it. The pastry wasn’t a great success even though we bought it – I rolled it out and then because it was such a hot day it started falling apart when I tried to put it into the pie dish. I managed to do a bit of patchwork though and it somehow held together and more importantly, it tasted good!